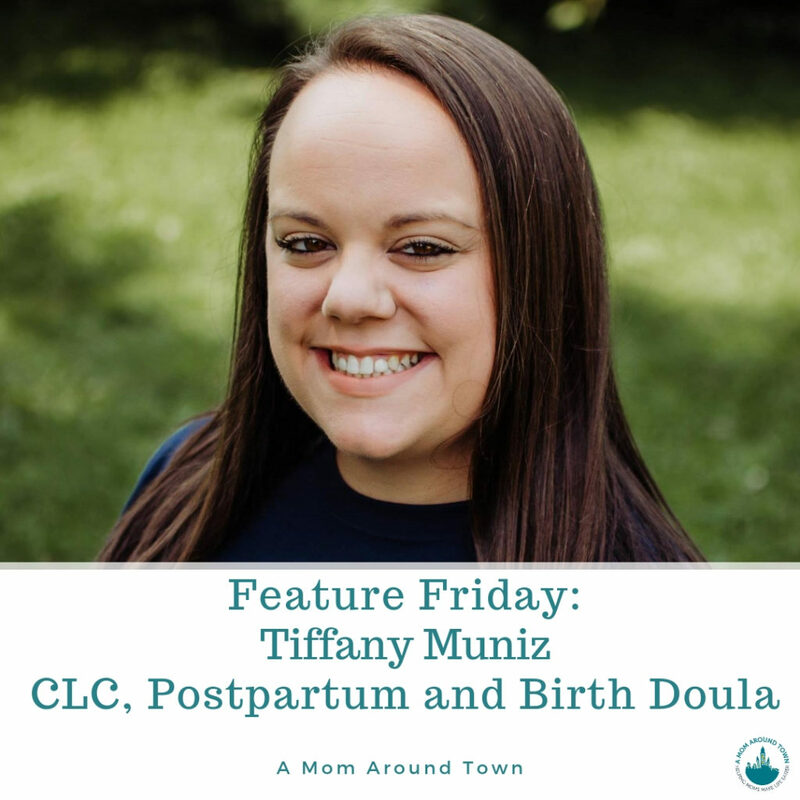 I was very grateful to get a few minutes on the phone with Tiffany Muniz to learn more about what she does as a lactation consultant, postpartum and birth doula. Tiffany started off in nursing and after having her little boy, who is now 3, she started to notice that women really didn’t know their options during birth. This was especially true in smaller communities like her own. 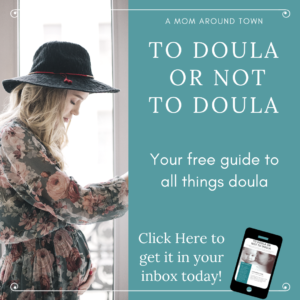 Her passion for 1-on-1 care and the desire to help women understand their options lead her to find and graduate from a doula certification program just about a year ago! and loves to spend as much time outside with everyone as possible. Her excitement for her new field and the clients she works with was uplifting and I’m so happy to feature her on A Mom Around Town! After I had my son, I started to notice that people just didn’t know that they had SO MANY options when it came to birthing their babies. Women NEED to know that they have options about the way their baby is born, whether that’s on land or in water, with or without an epidural or on all fours or on on their backs—we need to know this, so that we can make the best decision for our babies and our bodies. Another thing that was lacking was informed consent. I don’t believe that women are truly being informed about common interventions that are happening when they’re in labor (or even during pregnancy). Most times, women are only told the benefit of a certain intervention, and not the potential risks associated with it. So, for my clients its important to understand what informed consent is, and how they can make the best decision for them. I love helping women empower themselves!! Watching women make the best decision for them–and then reaching their goal is just the best! As a doula, my biggest challenge would be watching care providers do or recommend things that are NOT evidence based! Well, there is my amazing husband, Josh who is so supportive of my dream! We’ve been together since I was 18 and he was 22, so we’ve basically grown up together. He is such a teddy bear, with the kindest heart. We have 1 child, Pax, who is 3. He is just the coolest little guy in the world! I’m so honored that I was chosen to be his Mom. He has taught me so much about what is and isn’t important in life! I think I would want psychic abilities–it would be great to be able to read the minds of non-supportive care providers!! What one piece of advice do you have for a mom that needs your service? I think my biggest piece of advice for any mom would be to research everything!! Even if you think that it’s something that you absolutely don’t (or do) want, look it up and learn about it! You may be surprised!